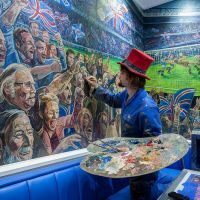 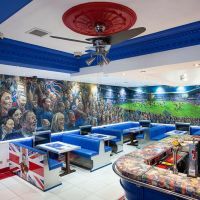 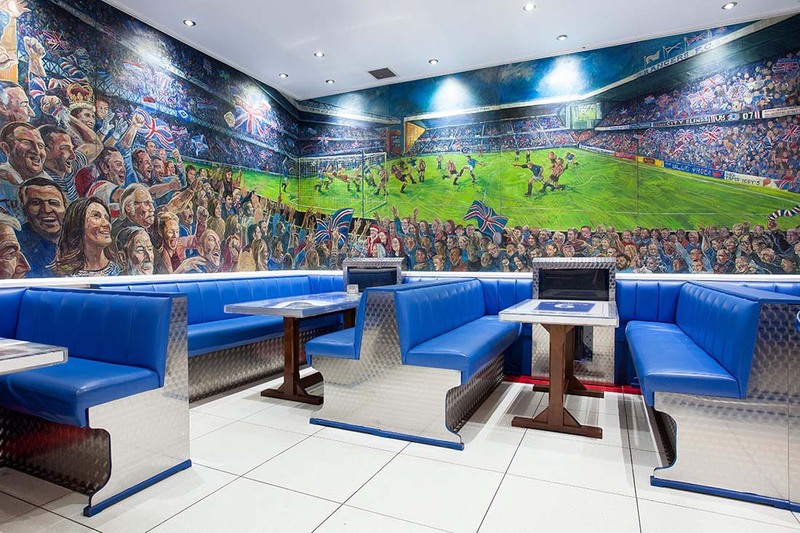 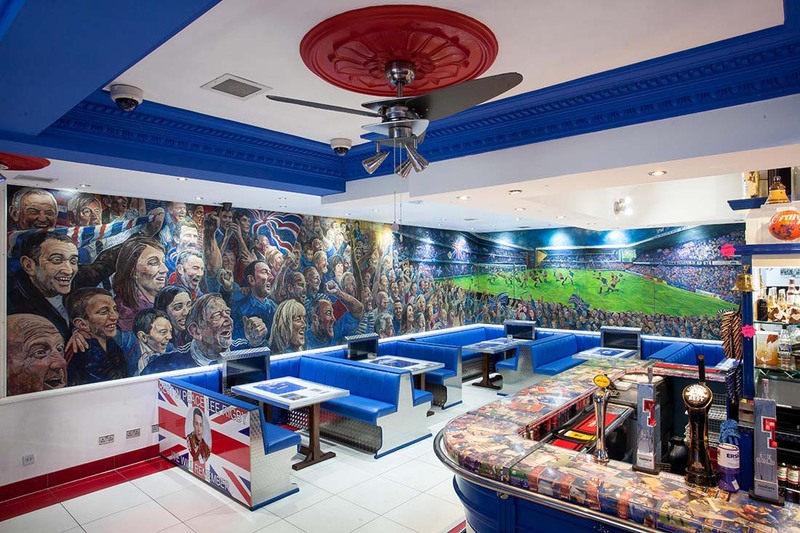 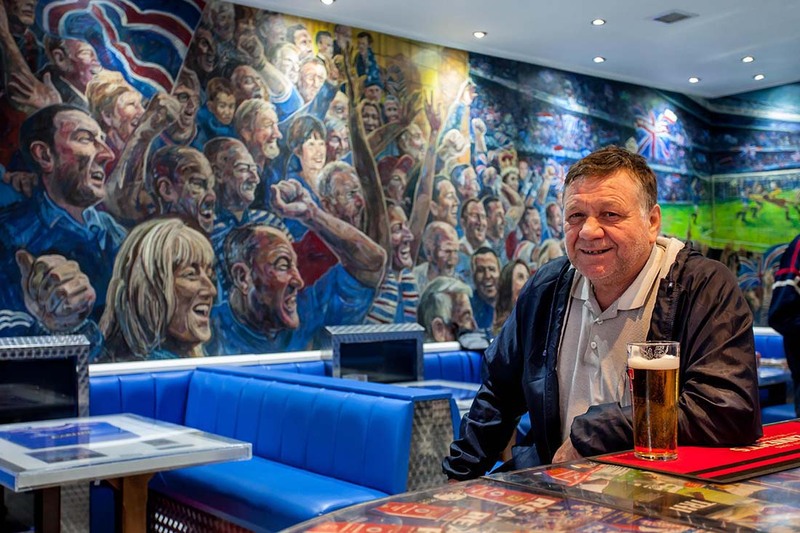 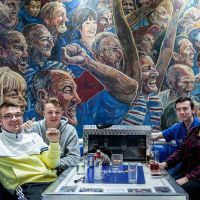 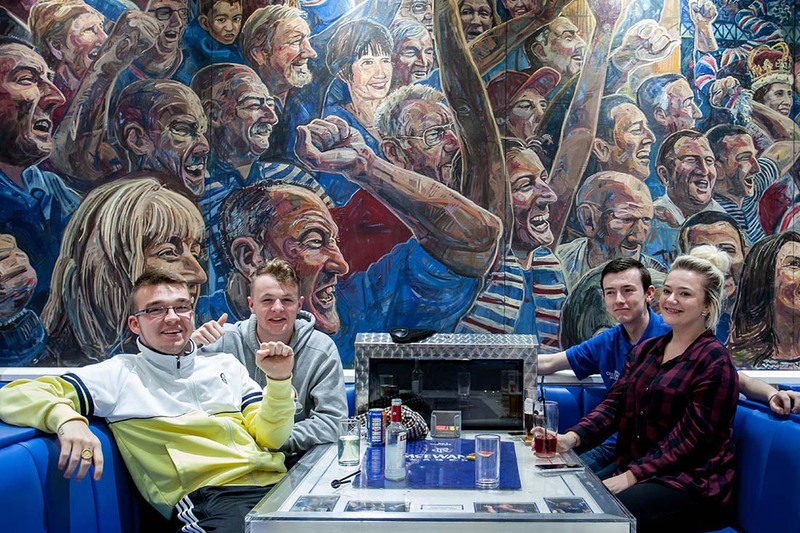 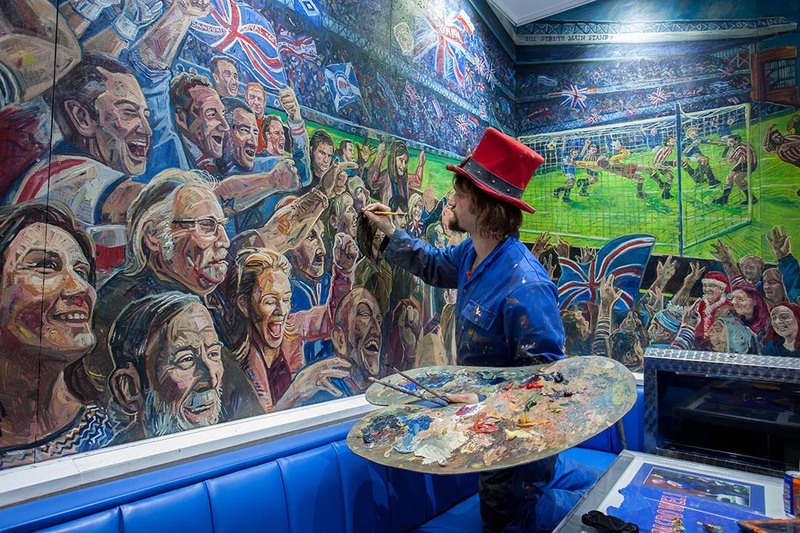 In 2013 Chris created a 15 metre long Rangers Football Club mural depicting a goal being scored at Ibrox Stadium and the ensuing celebrations of the fans in the stands. 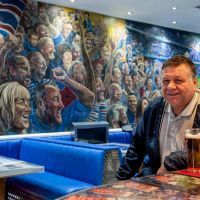 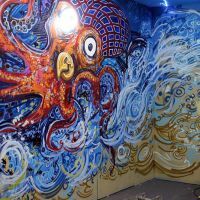 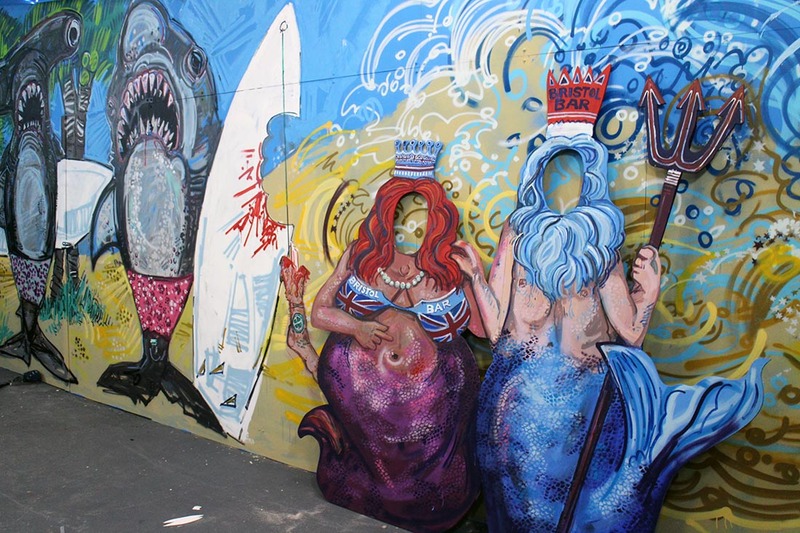 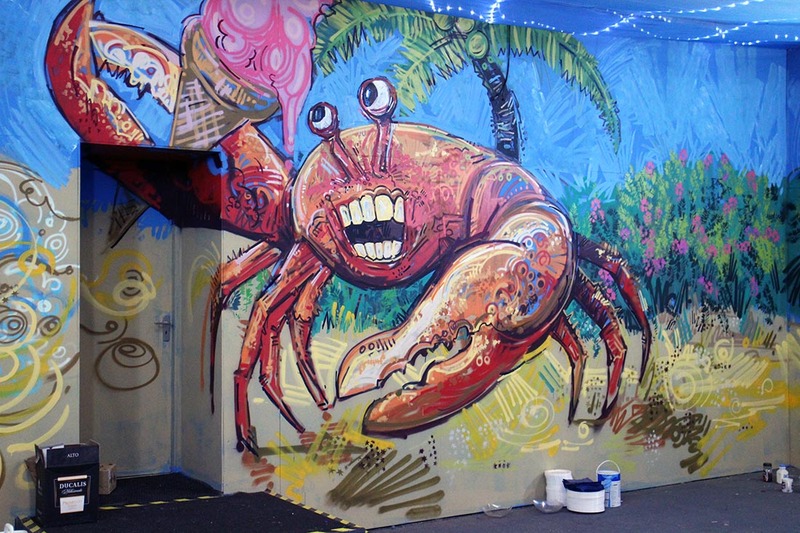 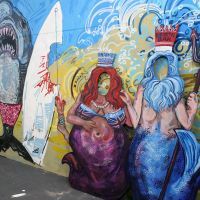 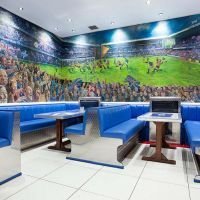 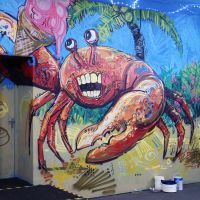 This mural is now permanently installed in the Bristol Bar in Glasgow, and further work was commissioned in their party room in 2017 when Chris painted a beach scene complete with an octopus, sharks and large cut-outs for photo opportunities. 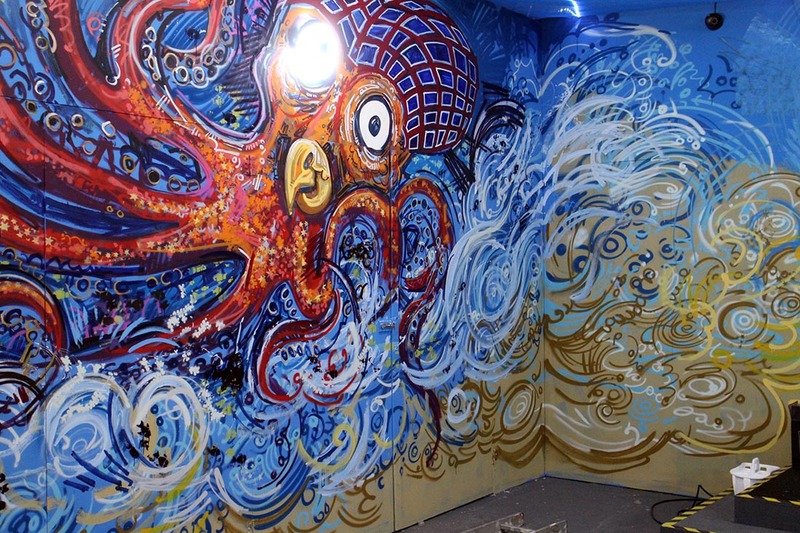 This space was then filled with sand and used for surfing-themed parties.